Infographics or information graphics are being widely used. These visual representations of data or information are designed to present content in a clear and effective form. 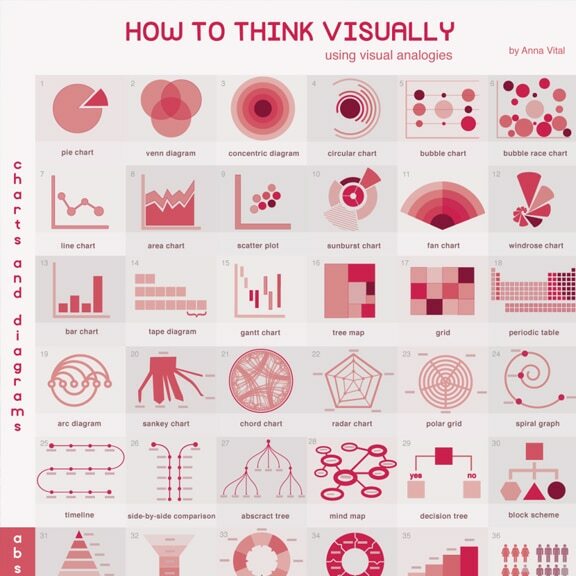 Information designer Anna Vital came up with 72 ways on “How to Think Visually”. Tagged Anna Vital, graphic design, graphics, infographics, think visually.